← Hollywood Trend Alert! Is Quiet the New Noisy? My argument being that most people rarely function at 100% of their capacity unless they’re under special circumstances, like competing in the Olympics or being chased by killer bees. It’s like when you go out for a run and finally settle into a rhythm, then a car drives by, or another jogger comes along and you speed up your pace. Turns out, you did have more to give, only you didn’t want to use it unless you absolutely had to, which, thanks to a hearty dose of shame, you did, as soon as that cute guy in the short-shorts whizzed by you. I was thinking about the idea of pushing ourselves to the max and how it relates to being a screenwriter/novelist. There’s a lot you can say about showbiz folks, but the one thing you can’t accuse them of is not giving it their all. Be it the grueling dance rehearsals and tour schedule of a highly paid pop music diva or the hours a writer like me spends toiling away in solitude—the competitive nature of this business require that when we perform, we do it at no less than 100%. I guess, in a way, being in showbiz is it’s own kind of interval training—sprint and rest, sprint and rest. And we need those calm periods in between film shoots and manuscripts in order to slow down and reconnect with ourselves, to get more than five hours of sleep a night, and refill our creative wells. But the second we’re called to action, we’re off and running again. Because no one ever gave that break-out movie performance or landed a life-changing script deal by giving anything less than 100%. At least that’s what we tell ourselves each time our screenplays fail to sell, or when we don’t get that directing job or land that plum role. We rally, regroup, then push ourselves to do better next time. We double down. Then, we double down again. Yet, in the rest of our lives, I think most of us operate at around 80%, at best. Just last night I was talking about this with another mom (as we watched about 20% of our sons’ baseball game) bemoaning the fact that no matter what we do, we’ll never be better than be B+ parents. I know this because during the first three years of my son’s life, I tried parenting 100%—hauling my floppy-necked infant to mommy-baby drum circles, my valuable hours spent filling ice cube trays with homemade organic baby food. Turns out, 100% mommying is about 20% too much mommying for me. At least it is if I want to leave space for any of the other important things in my life, like my writing, my husband, and my friends. In general, I believe there’s nothing wrong with living life at 80%. It’s steady. It’s not totally exhausting. If life is a marathon, 80% is what we need if we want to cross the finish line. But what I’ve had to come to terms with over the years is that creative types like me don’t like to run at a steady pace. We prefer pushing ourselves to our limits, even if we have to put ourselves in extraordinary circumstances and under extraordinary pressure in order to find out exactly what those limits are. Which is why we are all the hardest-working men in show business. 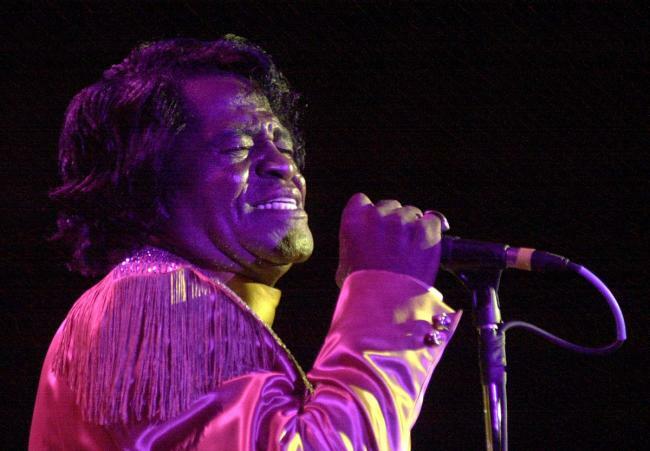 (No offense to James Brown.) And even though it can feel utterly depleting at times, dancing as fast as we can without any guarantee we’ll win the dance contest, I believe there’s great value in challenging ourselves. Like mothers who suddenly find themselves able to lift a Volkswagen off their child, unless we’re pushed to our limits, we may never find out how strong we truly are.